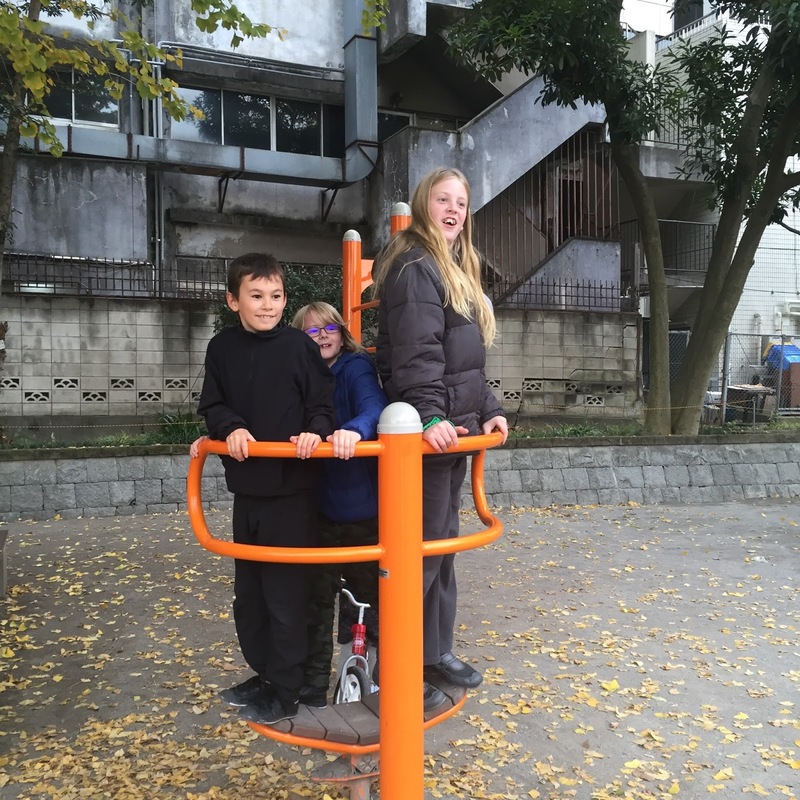 I met Julie through out blogs many moons ago, she was starting out with Montessori and I think stumbled across my blog when looking for inspiration. We became bloggy friends, commenting on each other blog and so on and then when Facebook became a thing our friendship moved over there too. When her son eldest son got sick, Ebi-kun saw the picture of him in the hospital bed and wanted to send him his robot that he had designed (I sewed) but robot had had a run in with a nose bleed so I explained it wasn't very hygienic! 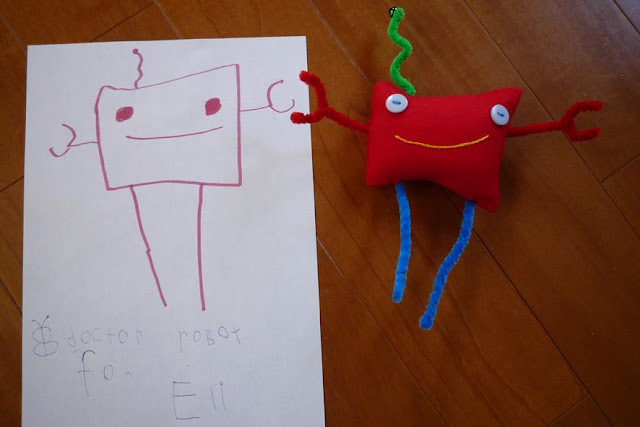 Ebi-kun decided to design a new robot, so we made him and sent him off and when Eli got better they sent us a fab parcel from Hungary! It's funny how these little stories make such a big impression on out kids. Anyway, Julie and her family are currently living in China and were planning a trip over to Tokyo so we arranged to meet up. It was great to finally meet her in real life! Although a bit weird too, just knowing someone online for so long then finally meeting them! 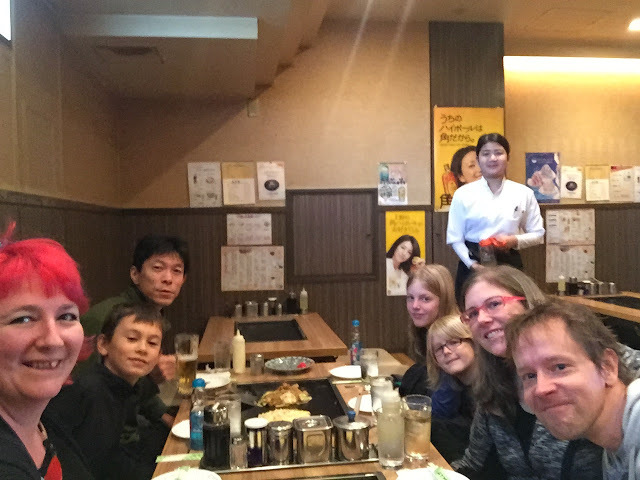 We went to an okonomiyaki place for lunch, where you cook the meal yourself at the table, the kids all loved the yakisoba! Then we headed into Ueno park to the shitamachi museum. I have never been in this place before, if you are in Ueno with an hour to kill, go and check it out. It's only a couple of hundred yen to get in. 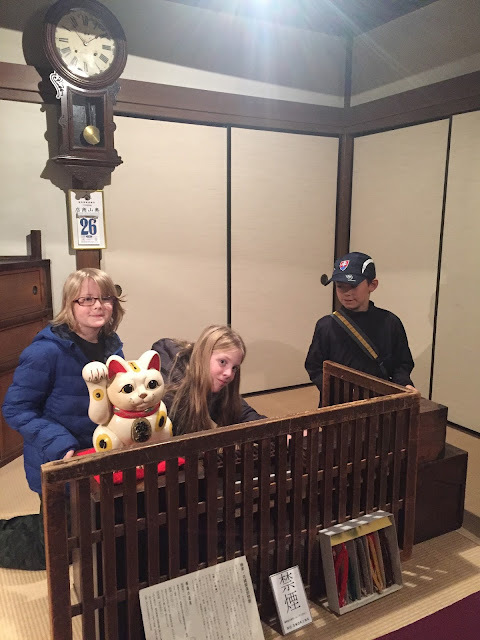 It was also quite hands-on so the kids were having fun trying things out and trying to work out what everything was. Then we had a bit of a walk around the park, Julie's family had plans to do Shibuya and Harajuku in the afternoon and we needed to get back, so we parted ways but not until the kids had a good run around the park. It took them a while to warm up but then of course they were best buds when it came to leave! Always the way. 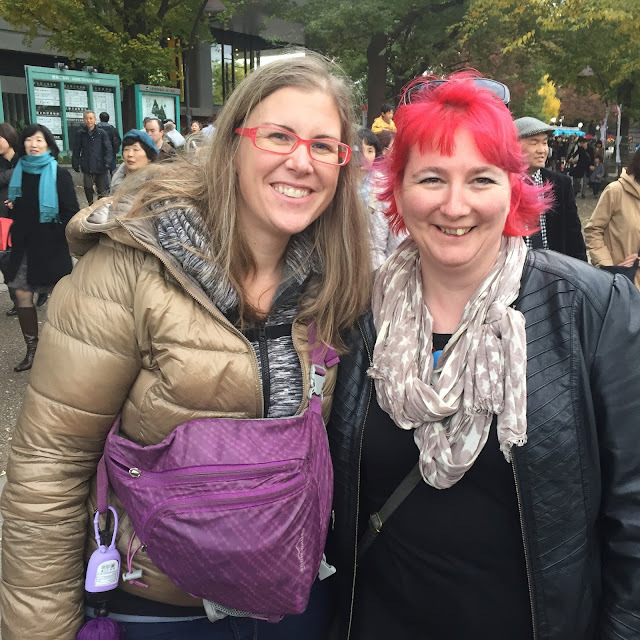 It was fab to spend some time with Julie and I wonder about all the other bloggy friends I have met over the years, maybe I'll get to meet them too one day!